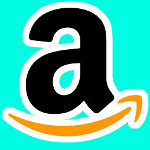 From now until June 8th, Amazon is offering special prices on handsets to new Verizon customers. Imagine paying just 1 cent for the Sony Ericsson Xperia PLAY. Of course, you will have to sign a 2-year contract and you cannot be a current Big Red customer. The handsets on sale from Amazon are not the aging phones of yesteryear, but include some of the most recent devices that have been launched by the carrier. 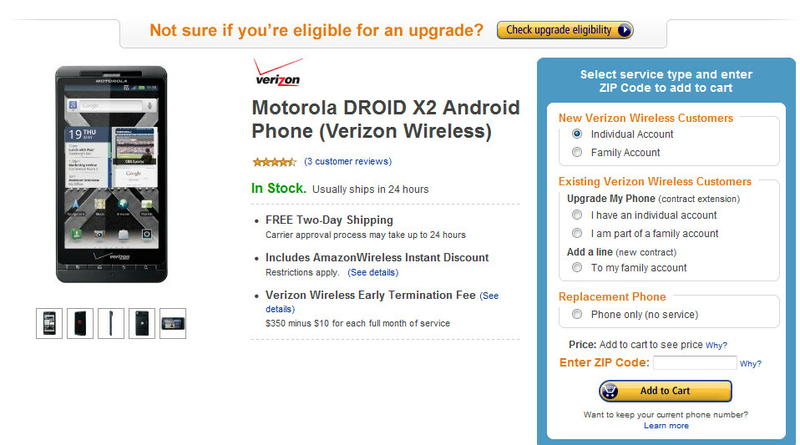 For example, the Samsung DROID Charge is just $149.99 for new Verizon customers from the online retailer. Verizon offers the model for $299.99 with a 2 year contract and Amazon's regular price for the model is $199.99. The dual-core powered Motorola DROID X2 and the LTE enabled HTC ThunderBolt are both just $99.99 through Amazon while the HTC DROID Incredible 2, normally $79.99 through Amazon, is just $49.99 for new Verizon account holders, as is the HTC Trophy. Finally, the LG Revolution has a $149.99 price tag at Amazon for those just signing up with the carrier.. If you have been thinking of leaving your current carrier for Verizon, why pay more for a new phone? With deals like these from Amazon, we would imagine that Verizon will be opening more than just a few new accounts until Wednesday is over and the prices revert back to their higher level. im a lil confused... is this article referring to only customers without cell phones or from other carriers? or can a person with verizon service add another line to their account to get this deal. It's only for new accounts. Adding lines to your account won't work. Just checked it out. Did you even bother to read the article before asking such a stupid question? It's for NEW customers only, not "existing" customers. Yes, but there's an old saying about never hurts to try, or never trust everything you read. Pick one it applies. It's always that constant issue with a company offering the cheapest prices to people who are just starting service. Then giving that customer a higher price down the road to upgrade.